Wind Addicts, the first windsurfing trip of the year starts Friday 27 March, and ends Sunday 29 March. We'll be visiting Corpus Christi, as usual. 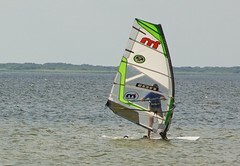 You can see photos from previous windsurfing trips here. I'm staying at the Best Western Marina Grand -- they have a good deal if you book 2 weeks in advanced.